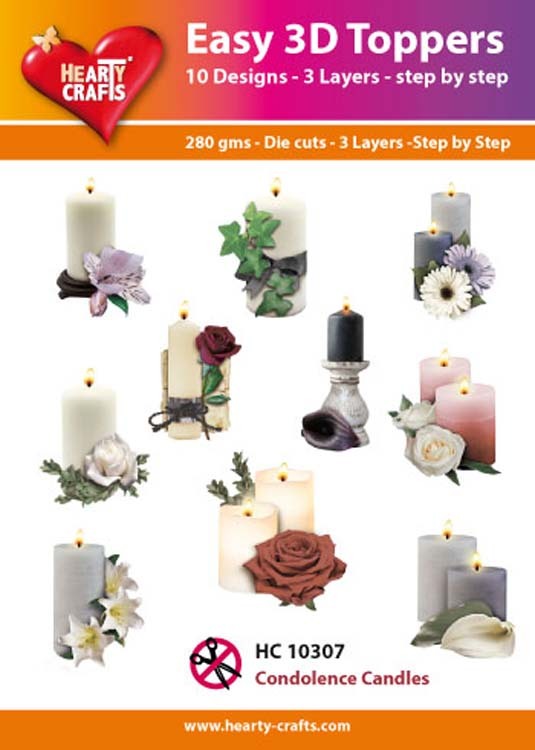 This set features 10 different designs of cancles with flowers. 1 set contains 10 different images with accents of glitter finishing. Each design has 3 die - cut parts you layer using foam tabs to create dimensional toppers that can then be added to your cards, scrapbook pages and many other projects. Approximate size: 2 x 4 inches.